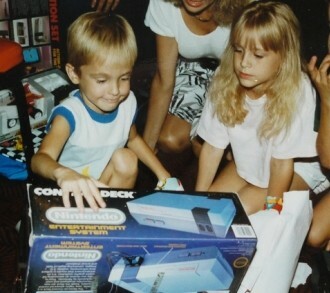 I received my first video game console nearly 25 years ago, a Nintendo Entertainment System for my birthday in 1987. For the next 12 years or so, I owned nearly every major console released in the US including but not limited to the Super Nintendo, Sega Genesis, Sony PlayStation and the Nintendo 64. I was a self-proclaimed video game expert and in the years before widespread internet access, I subscribed to a half dozen or more video game magazines annually to keep up with the latest news and rumors. My loyalty to consoles remained solid until the PC came along and stole my gaming heart. Looking back over the list of systems I once owned, it’s almost impossible to narrow it down to an all-time favorite. The NES introduced me to gaming and it's titles like Super Mario Bros, Excite Bike and The Legend of Zelda that will always hold a special place in my heart. The original PlayStation brought me Twisted Metal, perhaps one of the best games ever created IMO. And who can forget Sonic the Hedgehog on the Genesis, Donkey Kong Country on the SNES or Super Mario 64 on the N64? With this week’s WOF, we want to hear about your favorite console of all-time. All things considered, I’d have to go with the SNES as my favorite all-time console. How about you?